Property 4: Modern, Spacious Flat, seperate from the Main House. Property 27: The Spruce Hus - Studio by the lake. 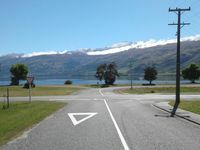 Property 42: Private & Peaceful in Central Queenstown with off-street parking. Property 44: One bedroom apartment with lake views! Property 47: The Love Shack... Live the dream! 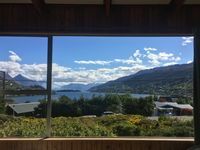 Beautiful location amazing views , great property with everything that was needed for self contained stay. I would say that the accomodation is very compact and small amount of space for two adults and two large teens but we adapted to that ok . Also we had a bit of noise from next door that kept us up very late on a few nights - very thin walls as we could hear them talking and walking around their house very late past midnight. But overall we were happy with the house and comfort .